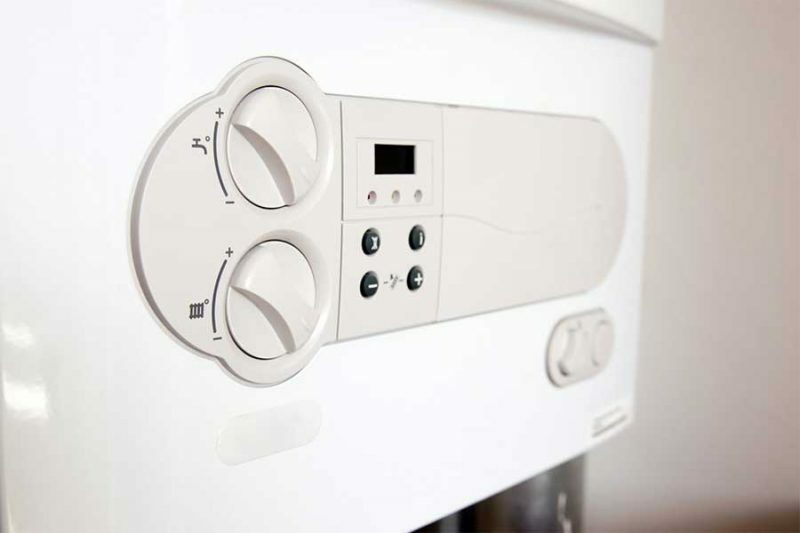 Although replacing your boiler may seem like an expensive and troublesome task, it will begin to pay for itself from the initial installation! There are a handful of other benefits to changing an outdated boiler, which will we take a closer look at below. 1. Improved Efficiency – If your boiler has been installed for 15 years or more, it could be down to as low as 60% efficiency. This means that 40% of the energy you use to heat your home and hot water is wasted. A majority of older boilers also have a ‘pilot light’ which can cost between £40-£50 yearly to keep alight. At Ocean, we take every measure to ensure that your freshly installed boiler is running as optimally as possible! 2. Cost Effective – In many cases where your boiler is no longer working, a replacement may be the most cost-effective solution. Parts may have become obsolete, or too expensive for it to be viable for repair. If your boiler decides to stop working during cold weather (which is usually the case), a replacement could be the fastest option to get your home heated again! It could also be a worthwhile investment to replace any pipes and radiators that have been installed for 20+ years. If your radiator becomes corroded, any debris can find its way back to the heat exchanger and prevent your boiler from working (It will also void the guarantee that came with your boiler). 3. Save Space – Many of the older boilers are either floor standing or mounted to the wall, which as I’m sure you’ve noticed, take up a lot of room within your property. The boilers we install are modern and compact, allowing them to be installed in a small utility room cupboard or kitchen. We can also install the boiler in the loft, which will free up valuable space throughout the rest of your home. 4. Regular Boilers – Nowadays, a popular boiler of choice is the standard regular boiler. This is the ideal solution for heating radiators and water in a hot water cylinder. They get water from a tank situated in the loft and are common in houses that have more than one bathroom. These regular boilers can be replaced by a system boiler, which is a sealed system, making it far more efficient. They have a lot of components built in, meaning there is no need for a tank to be installed in the loft, freeing up space within your property. We can also fit a system boiler with an unvented cylinder for further energy efficiency. 5. Combination Boilers – Another popular boiler of choice is referred to as a combination boiler. These are perfect for households that are low on space but still require hot water on demand. However, these are not always the best choice as they can struggle to work when multiple taps require heated water. In addition, the flow rates can be very poor – You might save a decent amount of money by staying with a regular or system boiler alongside a water cylinder. If you require a boiler replacement or would simply like to discuss your options, get in contact with Ocean Plumbing and Heating today by calling 07973 702841 or contact us via our Website and our friendly staff will assist you in whatever way we can. It’s essential that small businesses move with the times so in keeping with this we are proud and excited to announce we are on Facebook. 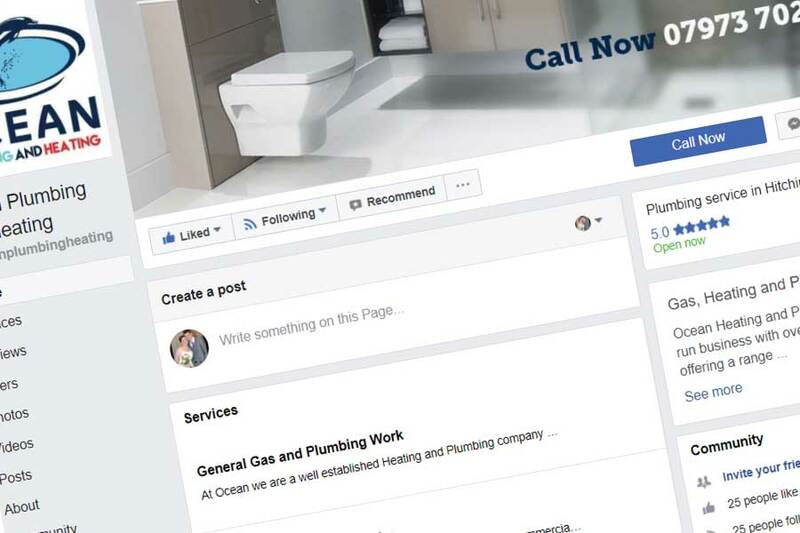 We will be using our Facebook Page to advertise our services and share with our clients and prospective clients some useful tips and keeping everyone informed on our recent news. If you would like to discuss any of our services feel free to give us a call on 07973 702841 or use our Website Contact Form and we get back to you as soon as we can. 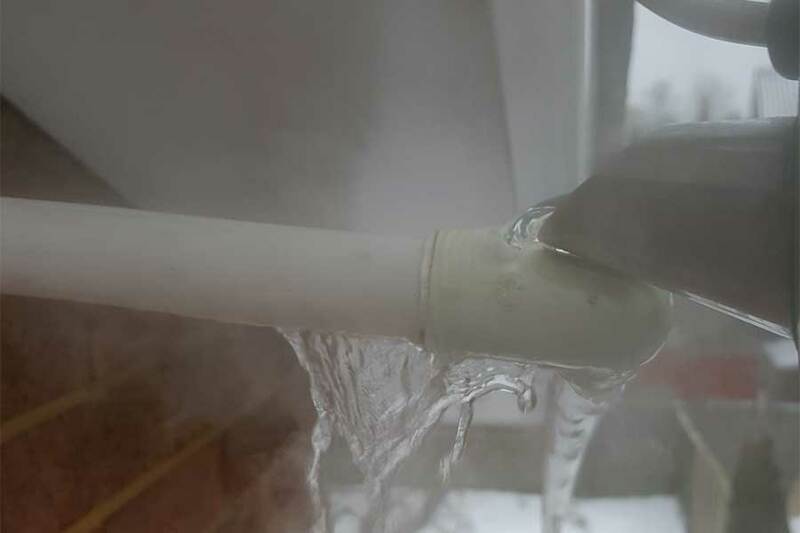 If you have been unlucky enough to have your Boiler stop working in the recent adverse weather conditions we are all experiencing, the chances are the reason for the failure will be your Condensate Pipe has frozen. Before you call out your Local Plumber we would like to share with you a way of resolving the issue without the expense of a plumbers call out charge. Locate your Condensate Pipe if it’s accessible. The Condensate Pipe is usually Grey or White in colour and comes out of the back of your boiler. Take a few kettle of Hot Water and pour over the pipe until it thaws out. Never try to attempt this if the Condensate pipe is above ground level for Health and Safety reasons. It’s worth mentioning that if you boiler has been fitted with a 3/4″ pipe and is run external to your home, the recent -5 temperatures will cause the pipe to freeze. Once you are confident that you have thawed out the frozen pipe, you may need to reset your boiler. We advise that you follow the recommendations from your manufacturer but we are confident that after your have carried out these simple instructions your Boiler should kick back into life. To prevent any future issues, it’s advisable that your boiler is fitted with a 35mm or ideally a 43mm waste pipe which will eliminate the chances of it freezing. Of course this is free advice from Ocean Plumbing and Heating, your local friendly plumbers in hitchin, but if you still have issues or don’t feel confident tackling the problem, we are only too happy to assist you. Give us a call on 07973 702841 or use our Website Contact Form and we get back to you as soon as we can. Copyright © Ocean Plumbing and Heating. All rights reserved.